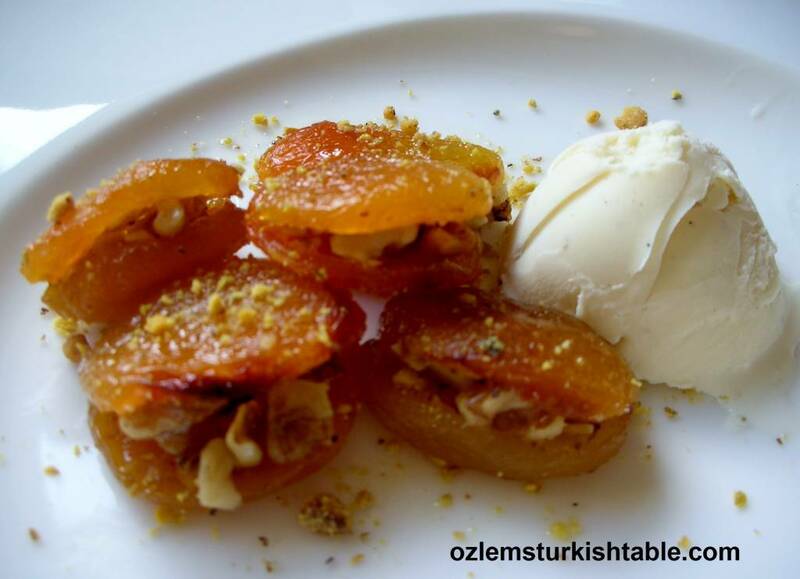 As I am getting ready for my upcoming Turkish cookery class on 10th May, I couldn’t resist sharing this delicious dessert from our class, baked dried apricots with walnuts stuffing in the new recipe card format. Such an easy, yet delicious and wholesome treat, if you’d like to have a go too. Dried apricots are packed with goodness and flavor, a delicious snack. One of Turkey’s most prolific fruits is the apricot. Because of their abundance, some of the yearly harvest is allowed to dry in the hot summer sun in order to be enjoyed all year round. Malatya, a city in southeast Turkey, is particularly famous for excellent dried apricots which are exported throughout the world. 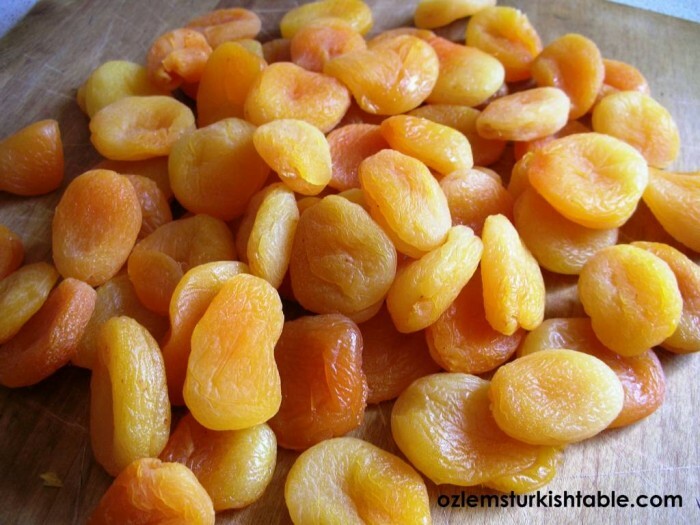 You can find dried apricots in most stores these days, online Turkish store Tulumba.com also carries them if you live in the US. Apricots are great snacks; they are packed with fiber, antioxidants and their naturally rich, wonderful flavor is icing on the cake. This easy dessert is great for parties, sharing with friends or family or just indulging yourself. Hope you enjoy it. One of Turkey's most prolific fruits is the apricot. Dried apricots are great, wholesome snacks. This healthy and delicious dried apricot with walnuts dessert is great for parties, sharing with friends and family or just indulging yourself. Soak the dried apricots in warm water for 10 minutes, if they are really hard. Then drain the water. If they are already soft enough to split open, you can skip this stage. Combine the crushed walnuts and brown sugar in a small bowl as the filling. Split open the apricots with a small knife, making sure one end is still intact. Stuff each apricot with a teaspoonful of crushed walnut and brown sugar mixture and slightly close it up. Grease a baking tray with olive oil or butter and place the stuffed dried apricots on it. Pour the water over the tray. Place a tiny little dab of butter on the top of the each stuffed apricot. Sprinkle 2 tablespoons of brown sugar over the apricots and bake in the oven for 25 minutes. 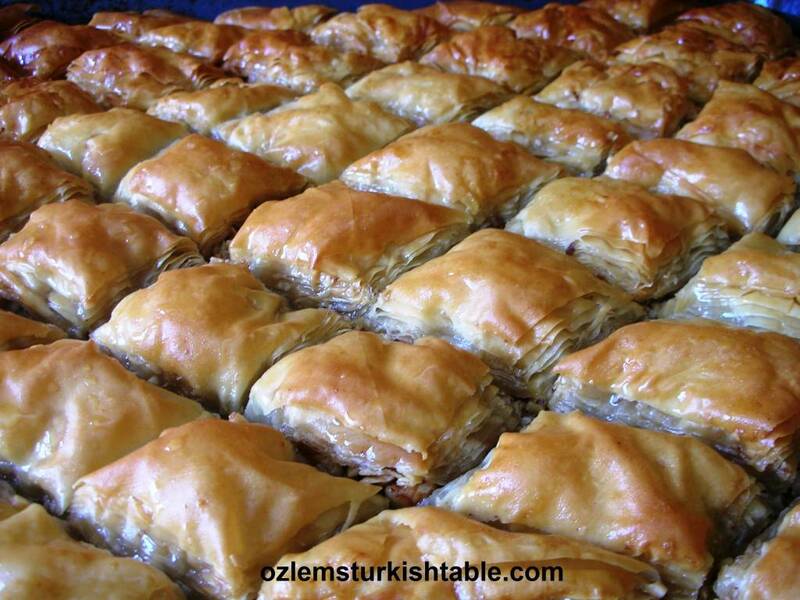 Arrange them in a serving dish and sprinkle over some crushed pistachio nuts. Özlem’ciğim, Lucky students! 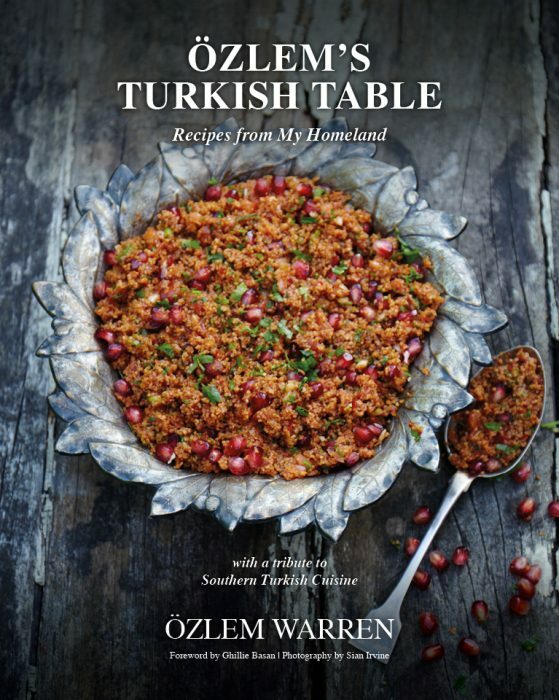 For me, this was a well-timed recipe since last week, a guest brought me some and while we were too busy talking for me to get the recipe, I was wondering how to make them. So thanks so much and have a great class. 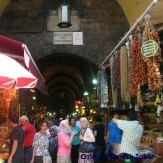 Öpüyoruz. I love apricots in any form but this recipe is delicious. Love the sound of these yummy bites, I can taste the chewy apricot with crunchy nuts. So simple too:) good luck with the class, I’m sure it will be amazing. XxPeri. 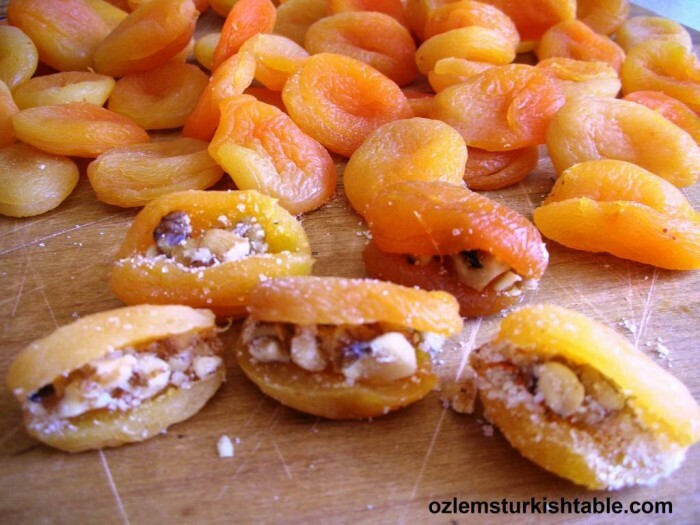 I’ve made stuffed dried apricots quite a few times with different fillings but I’ve never used walnuts. I must try this next time. (As long as I can find some really good walnuts, of course). 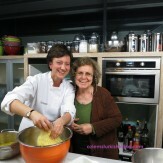 I hope the cookery class goes well. Looks delicious. I must try it. Can this recipe be served cold as well? 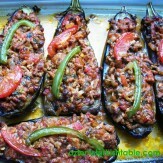 Hi Rita, it is best to serve warm but I am sure delicious as cold too, hope you enjoy it! The descriptor for this recipe mentions cream in the stuffing; the recipe does not. Please advise. Also, what is this served with in the accompanying picture?